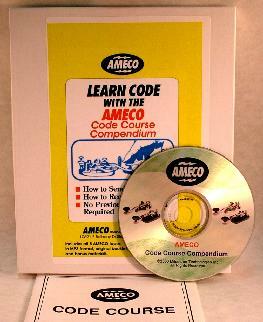 All five AMECO code courses in digital (mp3) format, on a CD-ROM with bonus materials. Set up for easy viewing and playing through your browser or any mp3 player. 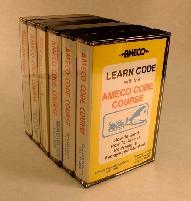 The CD includes all of the content of the cassettes, with much greater flexibility and ease of use. Bonus materials include a printable Morse code chart, and 5 texts sent at high speed (20/30/40wpm). The package includes both hardcopy and pdf versions of the Code Course booklet. An excellent 32-page book that provides helpful hints and proven methods to learn Morse Code fast. Code speed is from start to 8 WPM. Prepares for 5 WPM Novice and Technician exams. Contains one cassette tape and 32-page book. Code speed is from start to 18 WPM. Prepares for Novice, Technician and General exams. Contains two cassette tapes (AM-100 & AM-103) and 32-page book. Code speed is from 8 to 18 WPM. Prepares for 13 WPM General exam. Contains one cassette tape and 32-page book. Code speed is from 12 to 15 WPM. Contains random code groups, QSO-style material and on-the-air QSO's, similar to FCC exams. Contains one cassette tape and 32-page book. Code speed is from 13 to 22 WPM. Prepares for 20 WPM Extra exam. Contains one cassette tape and 32-page book. 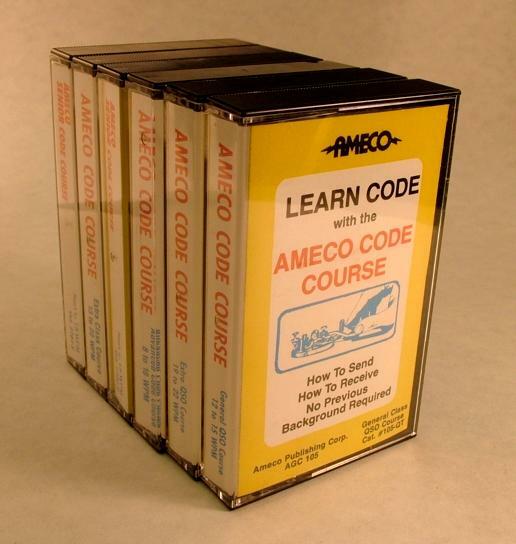 Similar to General QSO course, except that the code speed is from 19 to 22 WPM. Contains one cassette tape and 32-page book.